Yay! So good! I must try that yarn too, yum! 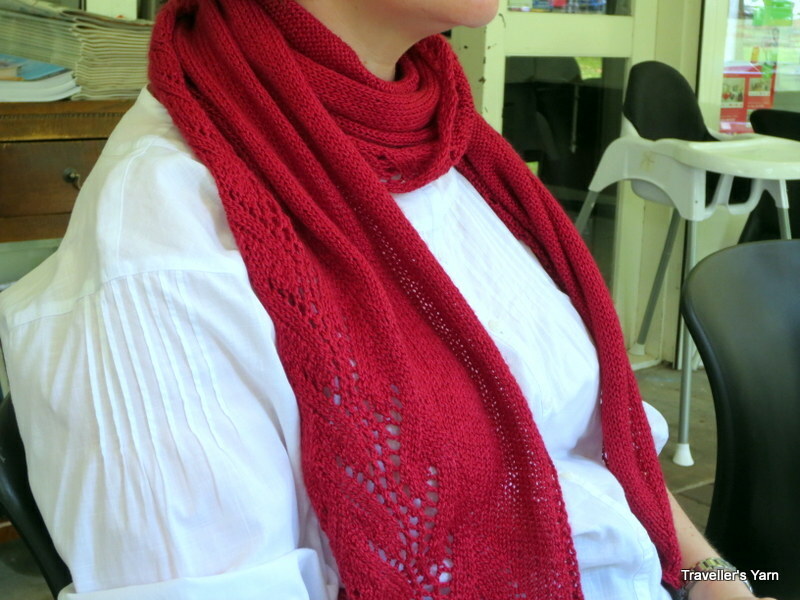 Such a great choice – love both the pattern and the colour and the yarn drapes beautifully. And I think it’s going to be very wearable. Congratulations! Congratulations – what a perfect red that is, too. Off to check out the yarn. Congrats! I won second place in a county fair way back in the 1980s. Still have the ribbon. I love Fino. Just bought 2 skeins in the steel gray color. 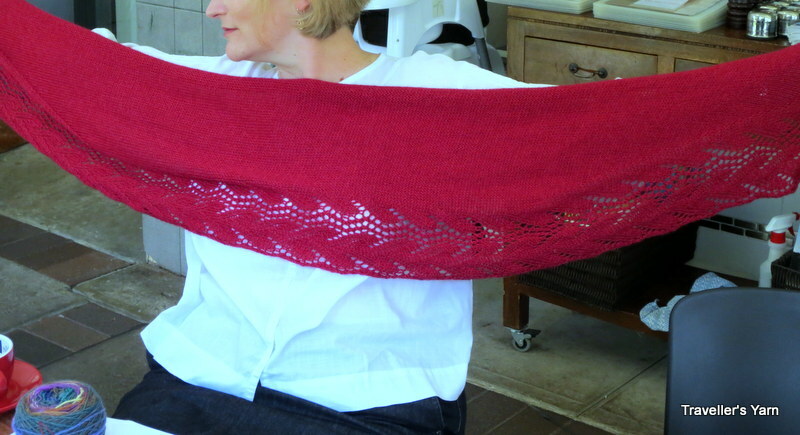 the shawl is so beautiful, you chose the perfect colour! Congrats on winning a prize, you deserve it! Glad you joined the Guild and very happy that as a result, you entered the Show. AND won a ribbon. Congratulations! Congratulations! 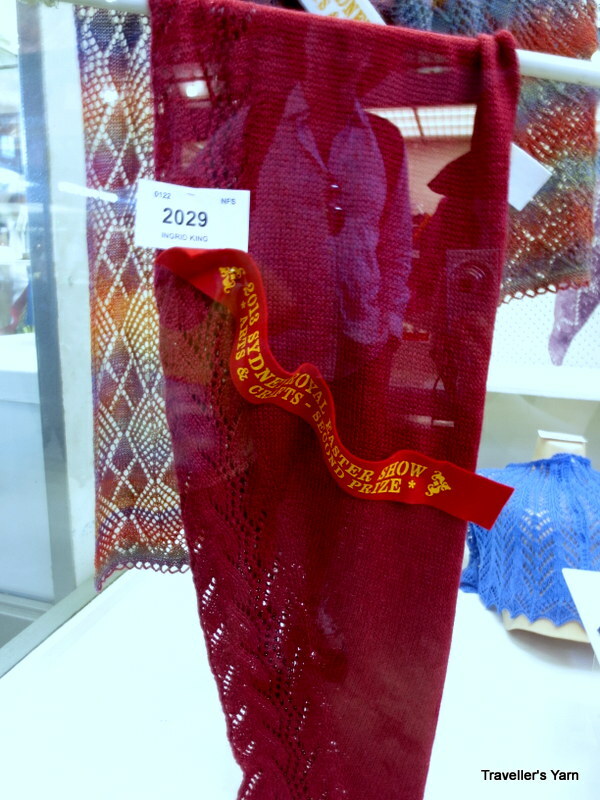 It’s a beautiful shawl, and very well deserved prize.